Cupcake Lovers Weekend will return to Hilton Orlando Bonnet Creek as part of their fifth annual SummerBlast promotion. Cupcake Lovers Weekend happens to fall on my birthday weekend so it goes without saying, I will be celebrating at Hilton Bonnet Creek this year. 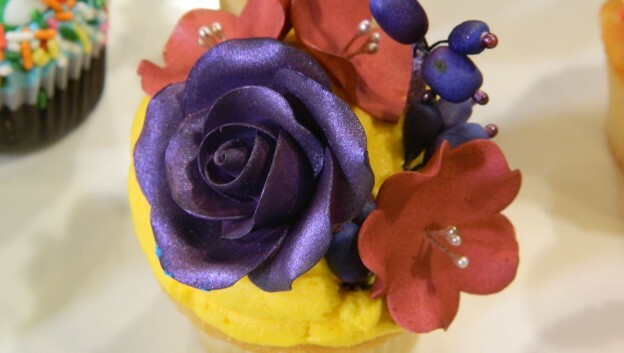 Be sure to check out my friend Amanda's post on the 2014 Cupcake Lovers Weekend. 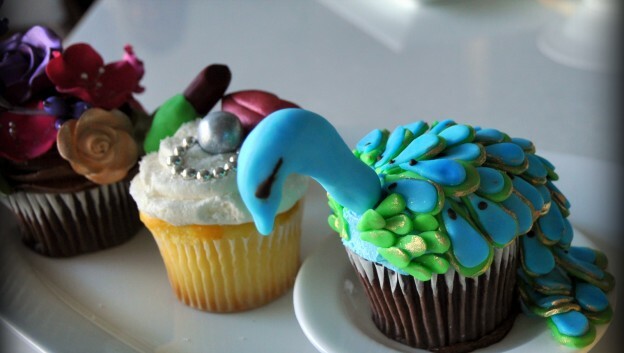 Resort guest of Hilton Orlando Bonnet Creek will get to enjoy two days full of all the cupcakes their heart desires. Cupcake Lovers Weekend has multiple events showing off cupcakes of every kind - beautifl cupcakes, cupcake martinis and even savory cupcakes! The BIG Cupcake Reveal – How many cupcakes can you fit into a seven-foot-tall cupcake? You’ll just have to see it to believe it! The Cupcake Bar - Curb your cupcake craving with a stop at our lobby coffee and sweet shop. Cupcake Kids Zone - A chance for children to decorate their own cupcake! Cupcake Walk - Enjoy cupcake themed activities around the pool, including a special version of the cakewalk ... the Bonnet Creek Cupcake Walk! Cupcake Displays - Enjoy a display of cupcakes decorated by Hilton Orlando Bonnet Creek pastry chefs. Cupcake Voting - Guests can enjoy a display of cupcakes created by Hilton team members ... and vote for their favorite designs! Cupcake Martinis - The Hilton lounges will feature special "cupcake" themed martinis ... you've got to try these! 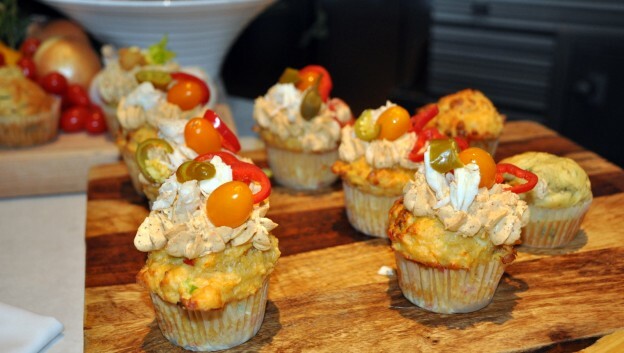 Savory Cupcakes - Enjoy a selection of "savory" entree cupcakes - the latest trend in cupcakes! Summer Activities - In addition, guests can enjoy their favorite SummerBlast! activities and events! A one-of-a-kind experience for girls and boys of all ages. Guests will have the opportunity to live the dream of becoming a mermaid in this innovative and interactive class. Girls will be able to utilize the mermaid tails and boys will have the opportunity to become sharks. The resort’s recreation team is ready to rock, making summer a blast for guests through a full schedule, including activities like mini-football games, water basketball, float races, Marco Polo, candy bingo, beach ball dodge ball, H20 Pac Man, line dance fun, hula hoop games, pool relay games, float races, etc. Kids love to bring home souvenirs, and the recreation team will be ready to help them make something special to remember their visit. Guests can treat themselves to one of the hotels private cabanas . Enjoy private lounge chairs and personalized service as the little ones enjoy the SummerBlast! pool activities. Families can end the night with a movie on the big screen, located poolside. Guests can grab a lounge chair or relax while floating inside the pool. Guests can celebrate summer in style, joining the crew for the summer’s hottest hits, Orlando-inspired games, LIVE! entertainment and special prizes. Guests can “adopt” a rubber duck during a race around Hilton Orlando Bonnet Creek lazy river pool. Winners will draw a special prize. Children and parents alike will enjoy searching the resort grounds on a scavenger hunt using their GPS-enabled mobile device to answer the clues. For tee times and more information, guests may contact the Waldorf AstoriaÂ® Golf Club at +1 407 597 3780. *Events subject to change without notice.